The Real Estate market is constantly changing, making it difficult to always assess the current value. As a trained Real Estate professional, I have the right knowledge and tools to determine your home's value. 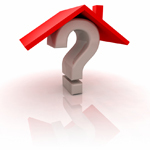 What is your property worth in today's market ? Let me help! How to sell your home for for the highest possible price, in the shortest possible time, with the least amount of hassle. To receive more information about my listing services, call Pat or email today.